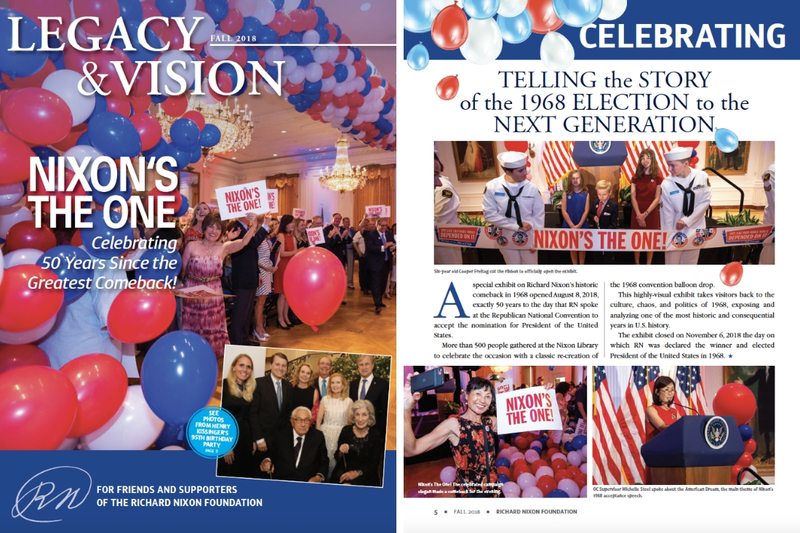 Take a look at the latest Legacy & Vision newsletter from the Richard Nixon Foundation. Become a Nixon Foundation member to receive your copy in the mail! Click here to become a member. A letter from the new Chairman of the Nixon Foundation and more!